Can you guess which one is the REAL Lady Gaga? Ha! Sebastian had a lot of fun wearing this costume to the Bay Area Pet Expo February 26th. He entered the costume contest, but all of the dogs lost to a leprechaun pony. This is the first and last time I enter a contest based on the audience clapping. I think half the audience was from some equestrian group. Not fair!!! Anyways, we are done being sore losers. My favorite part of this costume is definitely the little meat hat. 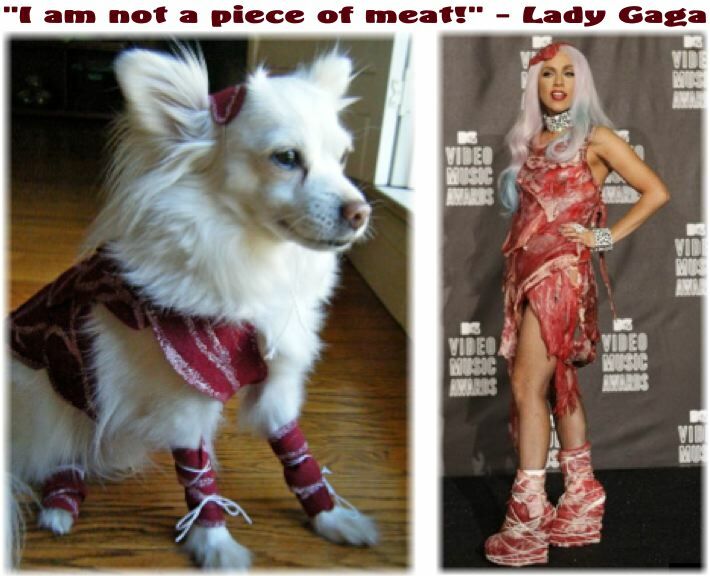 Want to have your own little meaty Doggy Gaga? What you'll need: Dark red felt, white paint, bright red paint, paint brush, some good glue and white elastic string. Draw as many meat-like shapes as you need. Obviously you'll need more the bigger your dog is. Cut them out and make sure you have enough to cover your dog's back. Decorate each meat piece with white and bright red paint. I'm pretty sure anything you have around the house as far as paint will work. I liked the red puff paint effect since it's 3-dimensional and looks like blood vessels. So, for the base of the meat, I made a little "jacket" out of some white fleece (I chose white because Sebastian is white). For those of you who sew, any shape will work as long as it velcro's around the neck and the waist - you know, just like a real dog jacket! For those of you who don't sew, I suggest using an old dog jacket as the base. Here is what mine looked like before the meat...nothing special. Cover the "base" by randomly placing the meat pieces and gluing them. After that, you're basically done!! For the meat hat, attach elastic string to both sides and make the strings long enough to tie around your dog's chin. For the meat leg wraps, wrap them around your dog's legs and wrap elastic string on top to hold them in place. The meat leg wraps stayed on quite well with this method! Here is the whole outfit with the meat hat at the top and the four leg wraps surrounding the body. Tip: the ends of the elastic are going to want to unravel so just seal the ends by applying a little bit of glue. I hope that was easy to follow. If you make this (or any of my other projects for that matter), be sure to let me know. I'd love to see pictures! Oh how I adore your little muse! Un-Fair! Your costume is amazing, original, took time and effort...that pony just has a "Party Shop" costume! Yes, I have been contests rated by clapping and just not legit as far as voting! I'll let you know if I ever use this costume on one of my cats! This is amazing, you definitely should have won!! You will win next time! omg...how adoraable....you should have won....Love your creativity..
A leprechaun pony would be hard to beat! But we totally agree, a contest judged by an audience clapping is kind of bogus. You are so creative!! Love this! 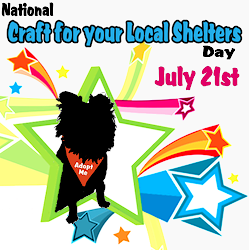 Happy Pet Blog Hop Day! What a cute costume! Kirby and I love your blog so we have an award for you! Come fetch it! What a Kool outfit....You you is a cute diva! Oh my goodness, that is fantastic! You are so creative, you should have won! That was soo cute, and you should have won!! ;-) Yah a clapping vote is not the best!! No fair is right!! 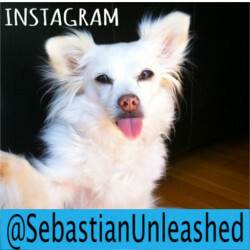 I can't believe Sebastian didn't take home the prize for his costume. Genius! Well, I suppose it's not every day that you can say you lost to a leprechaun pony ... but WE all know who the REAL winner is! The hat just kills me. I love this! I can't belive it took me this long to find your blog, you're going on my facebook page and blogroll!